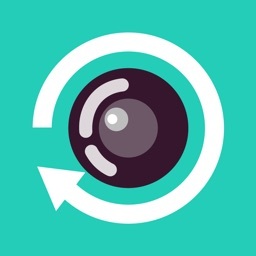 Create hilarious backwards slow motion videos with Reverser. 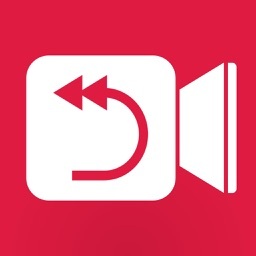 Use Reverser to quickly and easily make hilarious backward videos. 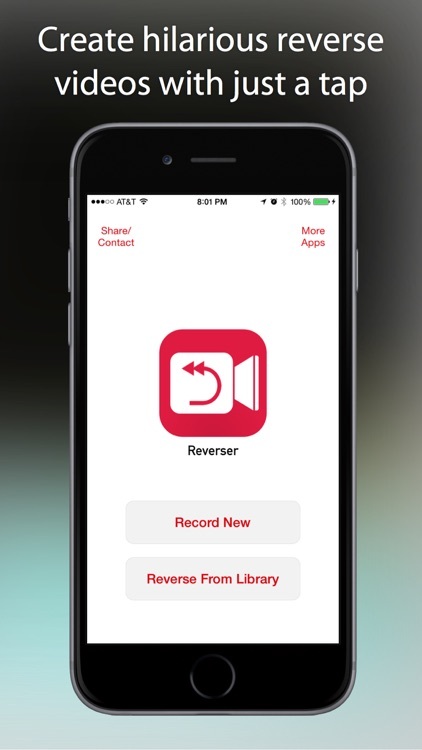 Simply record a new video or pick any video from your library and Reverser takes care of the rest. It’s for anyone who wants to have a little fun with their videos. 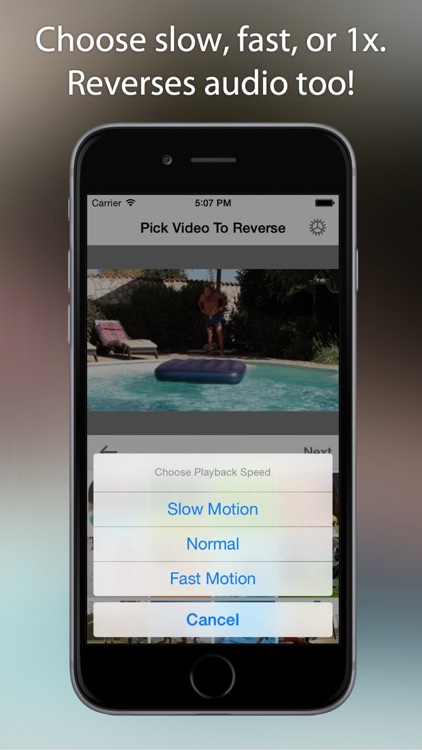 If for some reason you don’t enjoy watching slow motion videos in reverse, don’t download Reverser. That’s really the only reason not to try it. 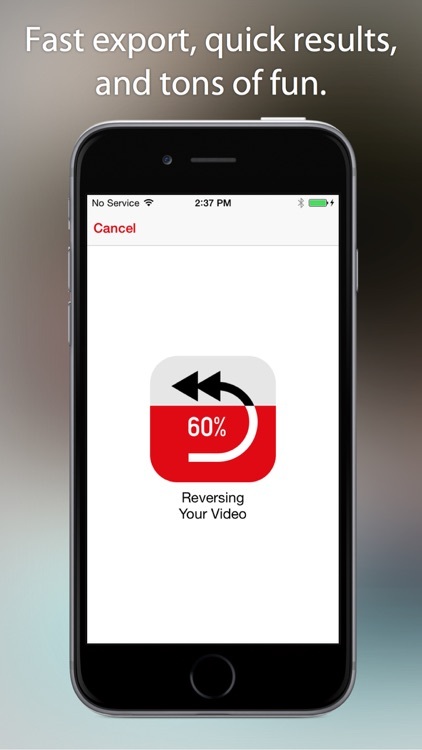 If you’re looking for something fun to do today, reverse your videos with Reverser. It’s so easy even a child could do it, and the results are fantastic. 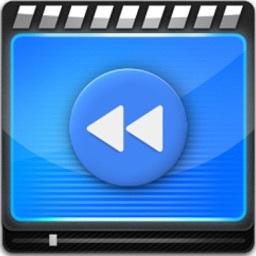 Choose slow, normal, or fast speed for existing recordings or reverse them without ever leaving the Photos app by using the Reverser extension. 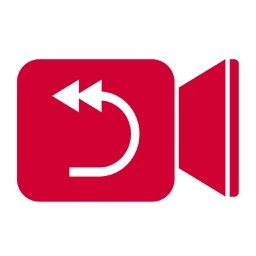 Save and share the videos you want to keep and delete the rest. That's all there is to it! 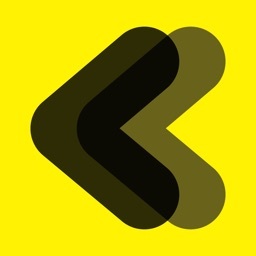 We hope you enjoy Reverser and can't wait to hear what you think—you can email us from right within the app. 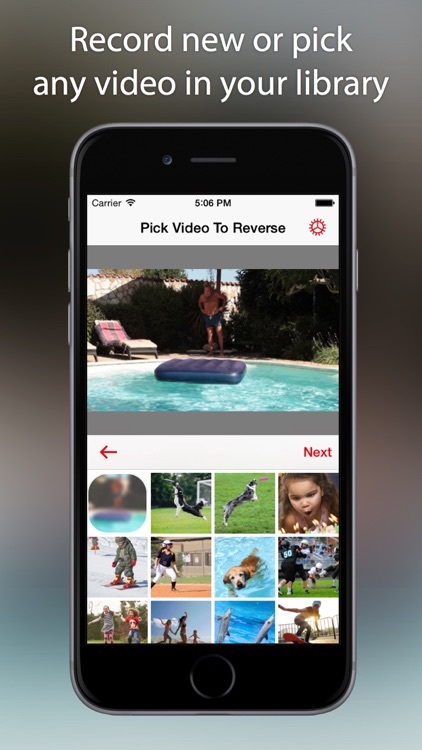 - After you save a video reversed with the Reverser extension, you can always press the "Revert to Original" button to restore the unreversed video. - When using the extension, we recommend keeping the Photos app in the foreground, as extensions aren't able to do as much background processing as regular apps. - The Reverser extension reverses all videos at the same speed that they play in the Photos in order to preserve slow-motion edits. User the main Reverser app to choose your own speed. Today’s AGF list includes a video player, a music player, and a notebook. 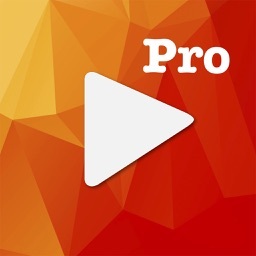 Today’s AGF list includes a camera app, a storybook, and a productivity app.